Living Sq. Ft. : 2318 s.f. Total Sq. Ft. : 3753 s.f. 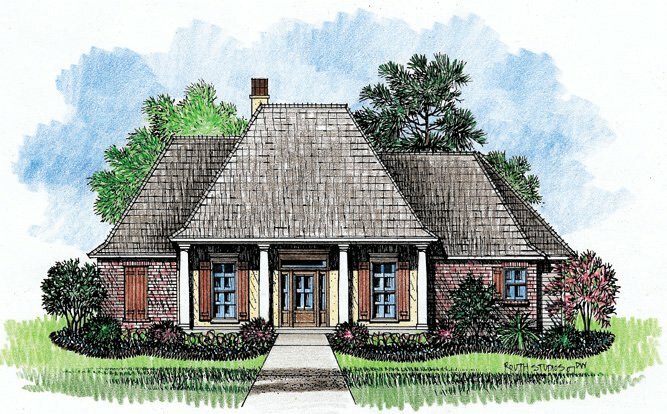 Southern Louisiana Acadian House Plan with a classic front porch and four pillars. The floor plan is open with a spacious family room, a formal dinning room, and a breakfast area and kitchen. 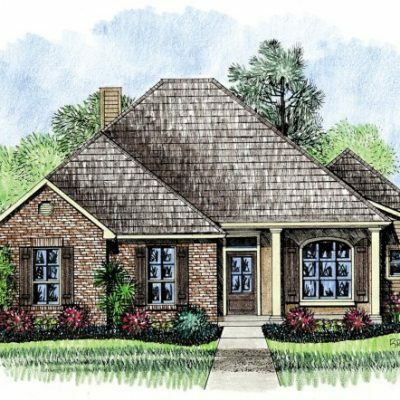 The kitchen has a large angled island with a bar, a corner sink looking out into the front of your lot, and a walk in pantry. 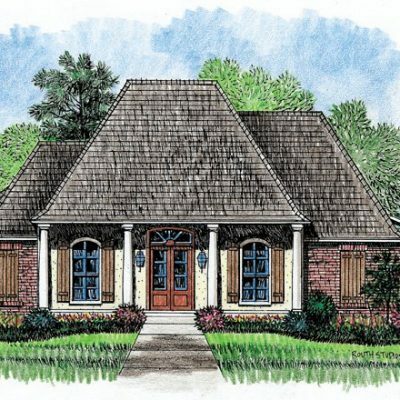 Moving to the master suite – one of the four bedrooms – you will find a stunning recessed ceiling with his and her walk in closets. 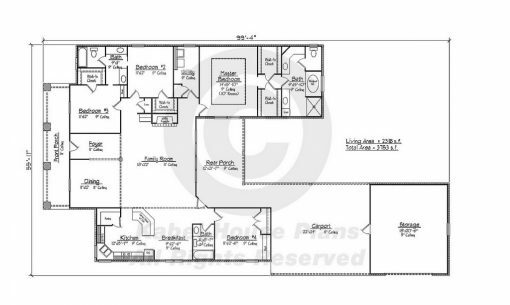 Passed the closet, you find your master bath with two vanities, a whirlpool tub, and a separate shower. 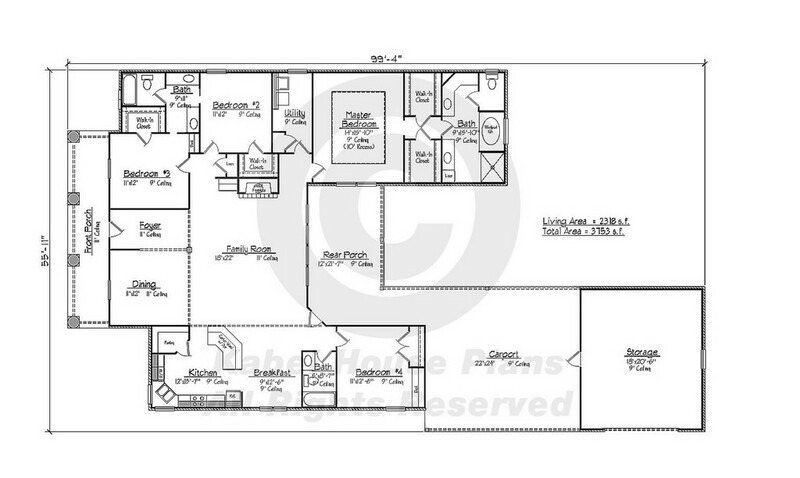 Two of the other bedrooms have walk in closets and are of good size. The forth is also good sized and could be used as a home office if desired. 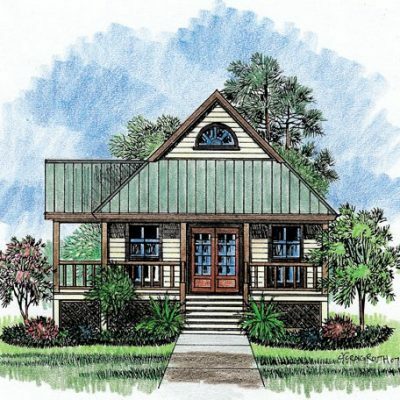 In the rear of the home plan, you will find a two car carport with a large enclosed storage area that could be used to house another car of boat. 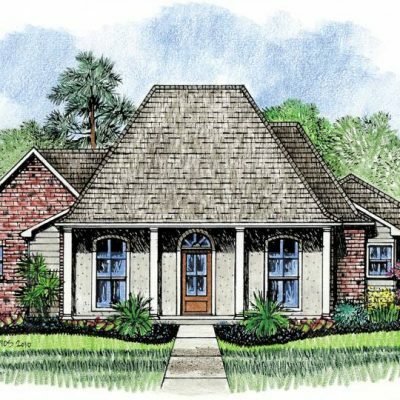 You will find the Raven Southern Louisiana Acadian home plan a pleasure to live in.